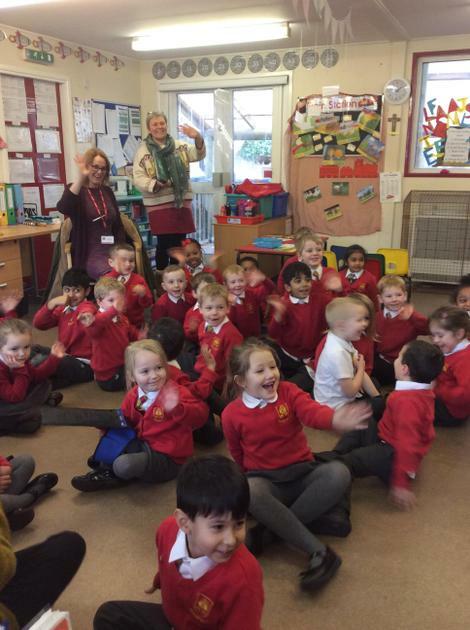 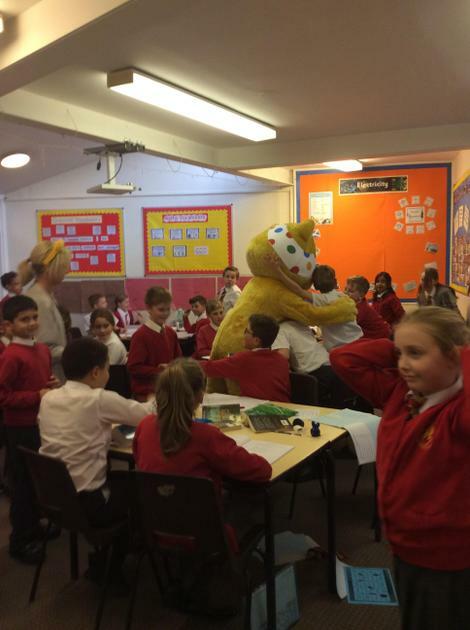 A very special visitor came to school after lunch today. 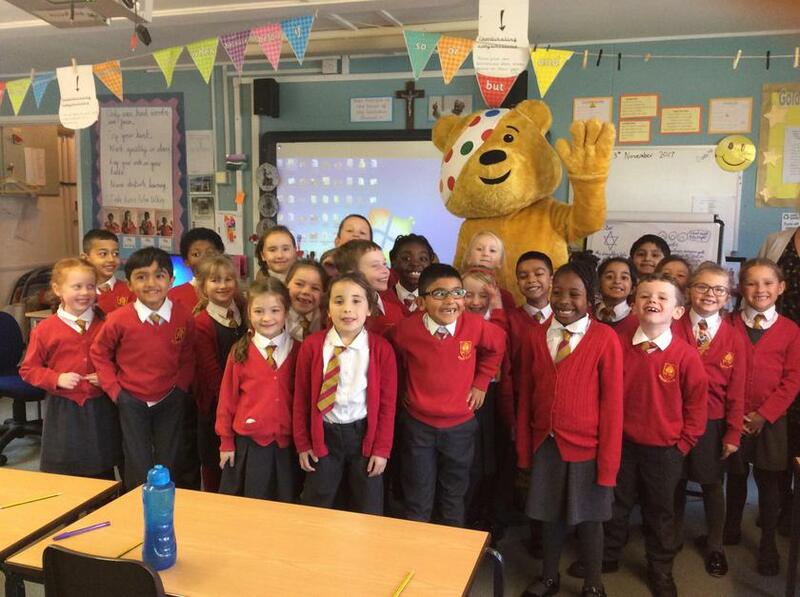 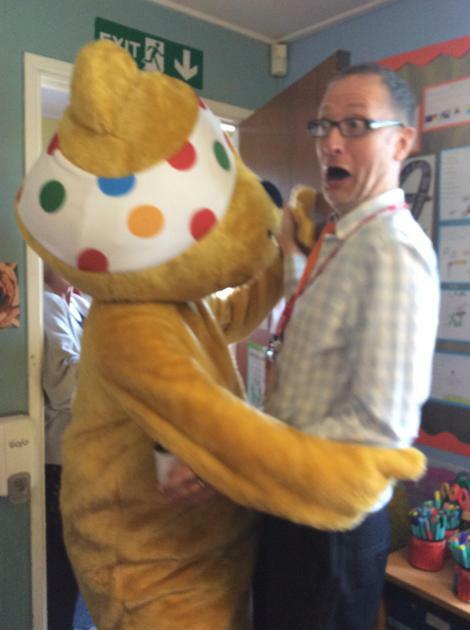 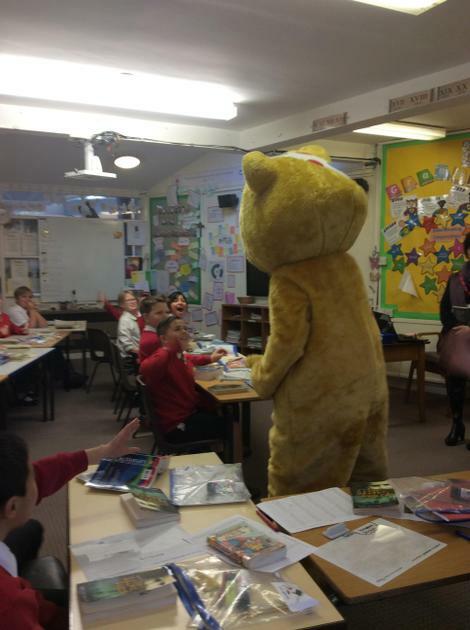 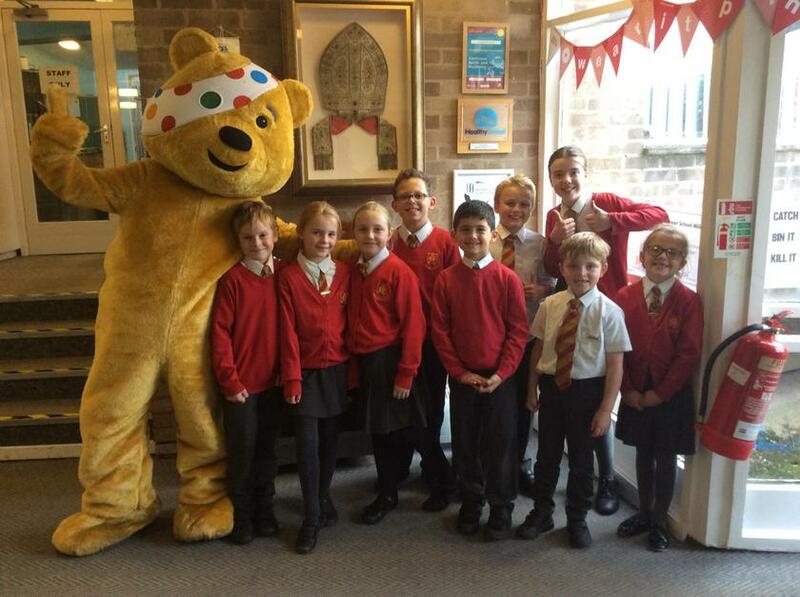 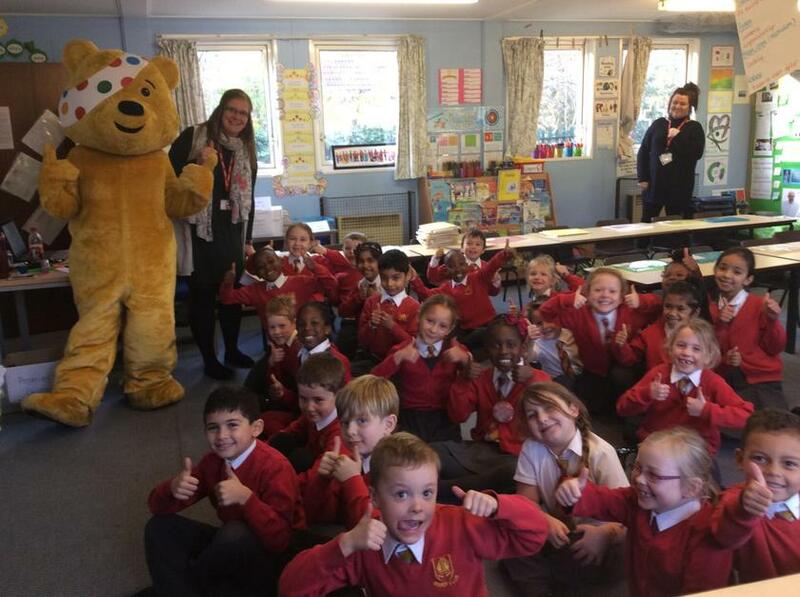 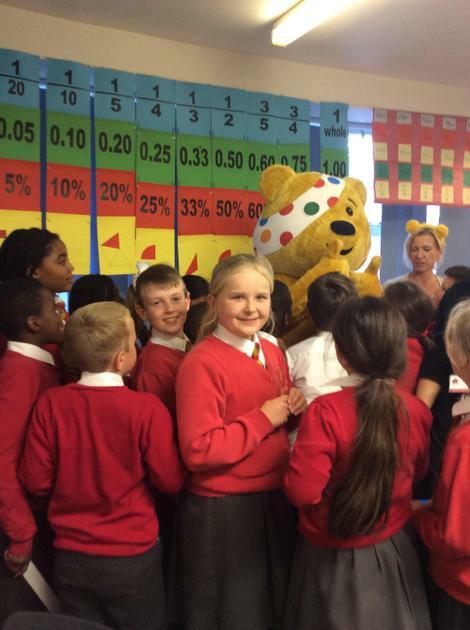 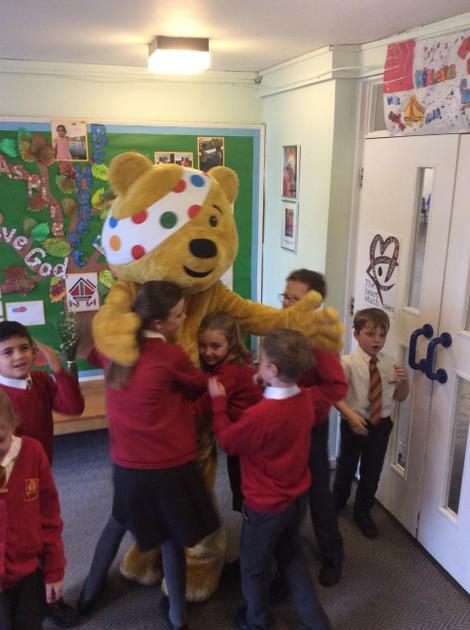 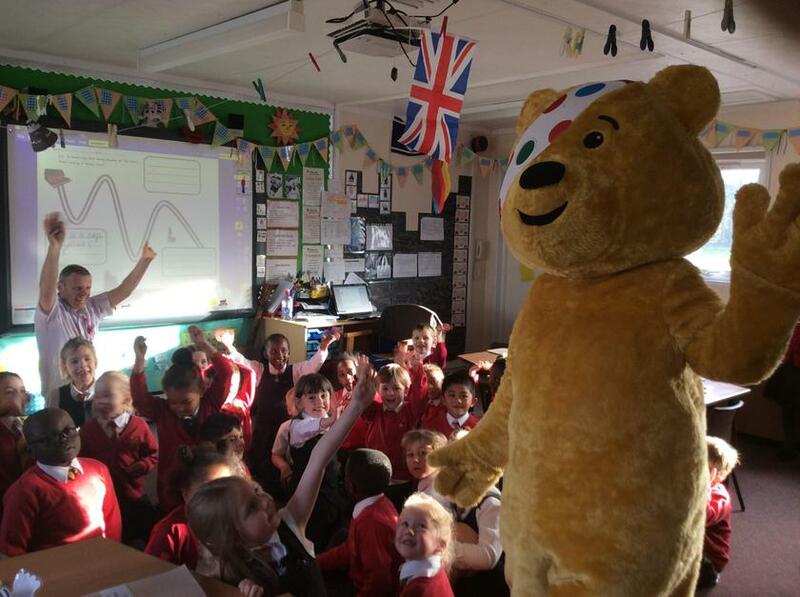 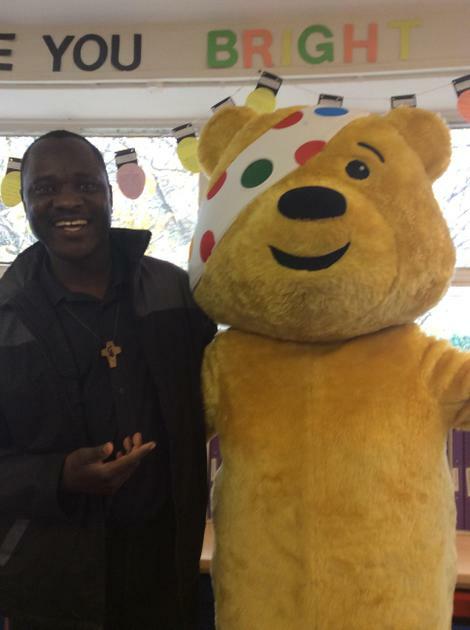 Pudsey popped in to see each class to find out what we've all go planned. 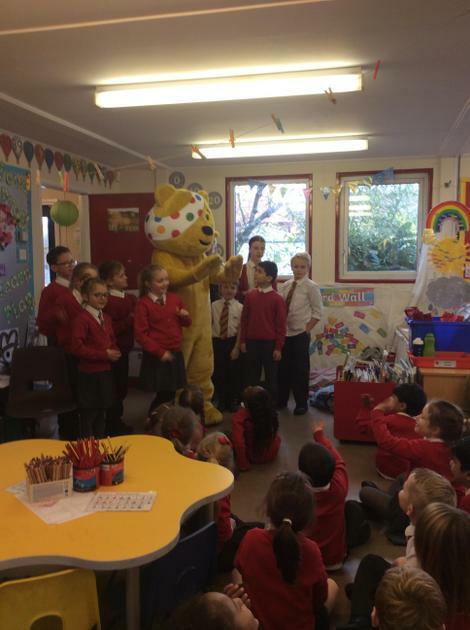 We let him know about all of the ways that the school council and children in the classes are planning to raise money and he was extremely disappointed to be missing the wet sponge throwing at Mr Haresign, Miss Turnell and other teachers on Tuesday, the cake sale, the running on the spot and the non-uniform goes spotty day on Friday. 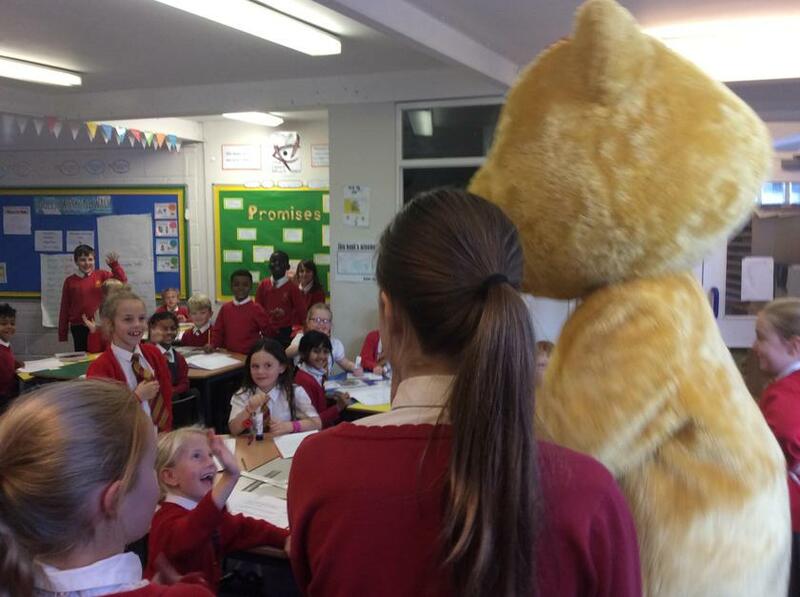 Take a look at the photos to see what havoc he caused! 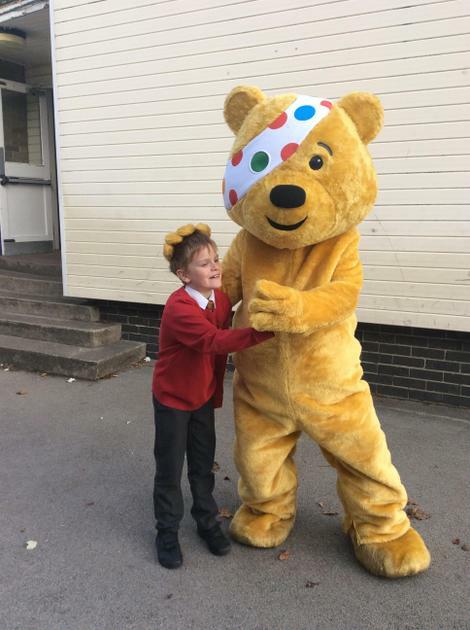 Please don't forget to bring in your 50p coins as a donation to throw the sponges, your £1s for the cake sales and a donation of your choice for spotty non-uniform day on Friday.